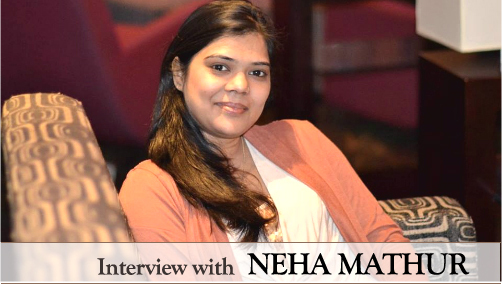 Dr. Neha Mathur is a dentist by profession, but a foodie and blogger by passion. Her blog www.whiskaffair.com is a veritable treasure trove of foolproof recipes for the beginner as well as expert home cook. Over a period of two and a half years, Neha has gone from being a blogging enthusiast to a professional blogger who was one of the Top 5 Food Bloggers of India in WIN ‘14. When the prolific food blogger Neha Mathur visited the BlogAdda office, we sat her down for a chat on food, blogging and her passions. Q: When and why did you start blogging? I am a dentist with 2 years of practice under my belt. A few years ago we had to travel a lot to other countries because of my husband’s job. In my field, you can’t work unless you have a degree that is valid in that particular country. So I had to find another way of spending my time creatively. My husband and I both love good food, so I tried a lot of recipes. Whenever a dish turned out well, I wanted to note it down so I could stick to the recipe the next time I attempted it. Blogging was the easiest way to document the recipe so I started doing it around two and half years ago. Q: Did you ever think that you would be so successful at blogging when you started? No, for me it was just a record of my successful recipes, so I was very infrequent with my posts. Later I connected with other bloggers and people started coming to me for recipes, which I thought was quite fun. I saw a few other blogs and was really impressed with the way they presented their food. I thought that even I should click great photos of my food and present it well, so that people would love to see the dishes even before trying them out. I wanted them to see my recipes and feel that they were worth replicating. And that has worked I guess. Q: The photos of your recipes are one of the highlights of your blog. What are the elements that go into each photo? I’m a self taught photographer and see the work of other photographers for inspiration. Food and photography are two things where you can learn new things all the time, which I love to do. I had a basic Nikon 3100 camera earlier, I recently upgraded to the better Nikon 610. I use a reflector for optimum light and don’t shoot without a tripod. I have a few boards that I have painted myself which i use for aesthetics. Q: Do you promote your blog? How important is traffic to you? When I started off, traffic wasn’t really important but now when I see that people are coming back to my recipes, it gives me a boost to do better. I promote my blog via social media- Facebook, Twitter and Instagram. I also track analytics tools to see how many people visited my blog in a day! Q: Are your blog posts impromptu or does a certain amount of planning go into them? When I started off, the posts were impromptu and infrequent, just based on what was available in my fridge. Now since I do a lot of freelance work for other websites, I have to plan my recipes for the month and get the approval of the client. When I make recipes for the clients, I take photos of the same for my blog too! Q: Do you try out interesting dishes that you come across in restaurants when you go for reviews? I don’t try out the entire dish but good concepts tend to stay with you, which you remember when you cook. For example I tried the ‘Berry Pulao’ in Britannia Company and Restaurant in Mumbai, and I loved the concept. So next time when I cook, there will definitely be some berries in the dish! Q: Have there been any mistakes along the way that you have learnt from? Yes there have been some recipes that haven’t turned out well which I have learnt from, but one guarantee that I can give is that the recipes that don’t work out will never find their way to my blog. The reason I have repeat visitors is because my recipes usually turn out well for them. Apart from cooking, the one mistake I made was when I went to Rajasthan for a family trip. I had planned to blog about the trip with lots of pictures but at that time I didn’t know the ABC of photo editing. So I took normal photos but now when I see them I regret it because it was a once in a lifetime trip and I could have taken much better photos if I knew better. Q: Dentists are known to be very precise in their actions. Do you carry this precisison into cooking or do you go by instinct? I’m very very precise with my things. I always make sure that my ingredients are properly measured because that’s what makes my recipes workable for everyone. So if the recipe says one cup you can be sure that it means ONE CUP. I’m very systematic with my work, and I keep my kitchen very clean all the time. It really goes a long way in making my work flow easy. Q: You share a lot of basic cooking tips and recipes on your blog. Are there any ‘Neha Mathur’ trade secrets that are still hidden from the public eye? (laughs) My mom makes a fantastic garam masala and I’m tempted to share its recipe from time to time. But then I think, it’s my family recipe so it should stay in the family! That is one recipe that won’t be shared with the world for sure. Q: Out of all the methods of cooking, which is your personal favourite? Baking is a process new to me as my mom never baked. It is something that I picked up on my own. I have gotten the rest of my cooking style from my parents as both my mom and dad are wonderful cooks. I really enjoy baking. Q: Tell us about an instance when you surprised your family with a really well turned out dish. I never cooked before I got married because I never had the time. But I remember when I was about 8 years old, I saw a recipe for a pulao from a cookbook and I wanted to try it out. So I laid down all the ingredients neatly on the counter like they did in cookery shows and made the pulao. My parents were really surprised and told me that it had turned out really well! I still remember that glow of pride on my face when they complimented me. I guess that really satisfied me because I didn’t cook for 10 years after that! Q: You’ve lived outside India for quite some time. How much influence did that have on your cooking? It has been a huge influence. We have been travelling for the last 6-7 years and in the earlier days there was not much exposure to foreign dishes in India. The dishes which are common now were fairly new to me then. I used to think ‘Why can’t I try these dishes at home?’. I wouldn’t have found about these dishes if it weren’t for the travelling. Q: What do you do when you are not cooking or blogging? I love to paint and indulge a lot in painting. I also love spending time with my son, so when he comes back from school around 4 pm, I’m at his disposal! We play together, I make him study and we are constantly together. That is the best time of the day. 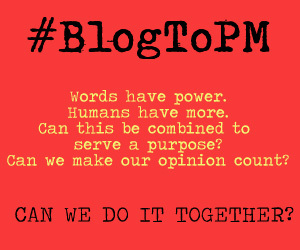 Q: Which other blogs do you follow? I visit Passionate About Baking, Rekha Kakkar, Pinch of Yum and Barbara Bakes. Q: What advice would you like to give to people who want to start blogging? Take blogging seriously, because it has a great future. I didn’t take it seriously and now I feel I wasted my first year of blogging. Think of blogging as a profession and constantly try to improve yourself. Give genuine information to people, only then will they come to you. Q: What can we expect from Neha Mathur in the future? I believe in constant experimentation and I keep trying my hand at different things. A lot of surprises coming your way in the future. Will keep you posted. 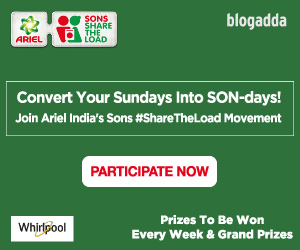 Q: What has been your experience with BlogAdda? From the start of my blogging career, BlogAdda has always been with me. At the beginning, I got the Notable Newbie tag. I was also among the Top 5 Food Bloggers at WIN ’14. BlogAdda has always given me a lot of value and recognition, and is doing so for a lot of other bloggers too! My husband prepared a Grilled Chicken with Plum Sauce for a Valentine’s Day meal. That has to be the best dish I have eaten which wasn’t made by me. Chinese, Thai, Indian- basically Asian cuisine! My dad’s recipe of Khada Masala Chicken. I would love it if my son makes it for his kids! I don’t watch TV either! I like reading Nigella Lawson’s books. I also love The Baking Bible by Rose Levy Beranbaum. I like it when passionate bloggers mean the same- Think of blogging as a profession and constantly try to improve yourself. Loved this interview and as an early blogger got lots of inputs as well as motivation.